Global PC shipments will decline for the fourth consecutive year as people continue re-directing money towards smartphones and tablets. Worldwide PC shipments will decrease by 6.2 percent in 2015, even though the end of Microsoft's support for Windows XP spurred demand for PCs and nearly stabilized shipments, according to IDC. PC vendors, anticipating the arrival of Windows 10, have reduced their inventory levels. Windows 10 will be a "significant contributor" to PC shipments, but won't lead to a sales burst. Although enterprises will purchase PCs running Windows 10, consumers won't be as keen on buying a new PC because Microsoft will provide them with a free upgrade to the new OS, as long as they're running legal versions of Windows 7 or 8. Instead of purchasing PCs during the holiday shopping season, people will buy tablets, smartphones and wearables like the Apple Watch, IDC said. 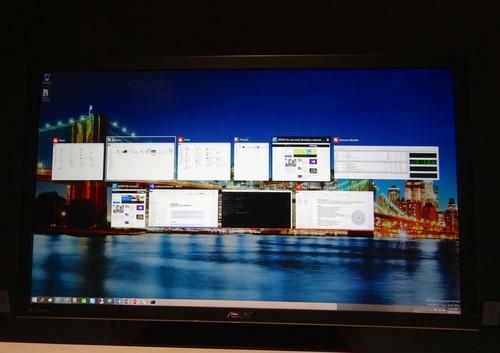 Microsoft and PC makers need to better market the benefits of Windows 10 and new PCs. The research firm called for PC shipments to stabilize in 2016 and have "limited growth" in the coming years. In a separate report, IDC predicted tablet shipments will shrink this year, but devices with data plans will gain market share. Worldwide shipments of tablets and two-in-one devices will reach 221.8 million units in 2015, a 3.8 decrease from last year. That marks two consecutive quarters of declining tablet shipments. IDC had previously called for 2015 tablet shipments to increase by 2.1 percent to 234.5 million units. However, not all tablets will see a decrease in demand. Those with cellular capabilities, which are a small percentage of the market, are expected to attract users in 2015 and in the coming years. Tablets with data plans will claim a 33 percent share of the tablet market this year. That's up two percent from last year. In 2019, tablets with cellular connectivity will have a 40 percent market share. Meanwhile, tablets with only Wi-Fi connectivity will see their market share decrease but will still be the preferred option. In 2015, Wi-Fi tablets will have a 67 percent market share, declining from 69 percent in 2014. Those devices will have a 60 percent market share in 2019. Tablets running Windows will gain market share over the next four years, but Android will be the dominant OS followed by iOS. People will purchase tablets with larger screens in the coming years, IDC predicted. Devices with small screens will make up 58 percent of shipments in 2015 and fall to less than 50 percent in 2019. As people purchase smartphones with larger screens, the need for tablets with similar sized screens will wane, IDC said.